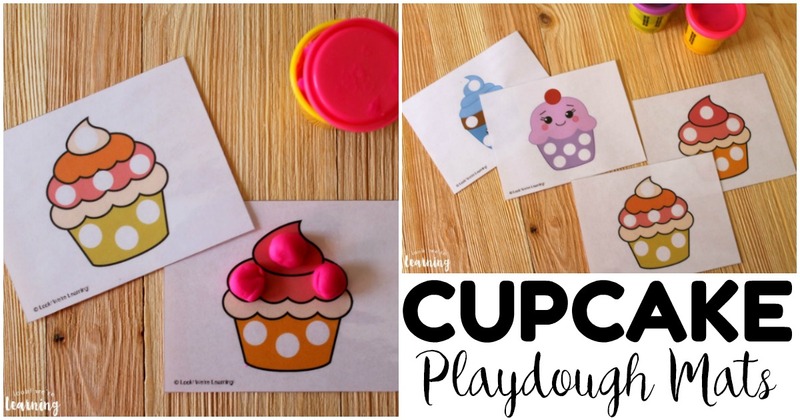 It’s time for us to share another one of our preschool playdough mats and this time we have cupcakes! Cupcakes are just plain fun. Whenever I say the word “cupcake”, I just start to smile involuntarily. It’s science. 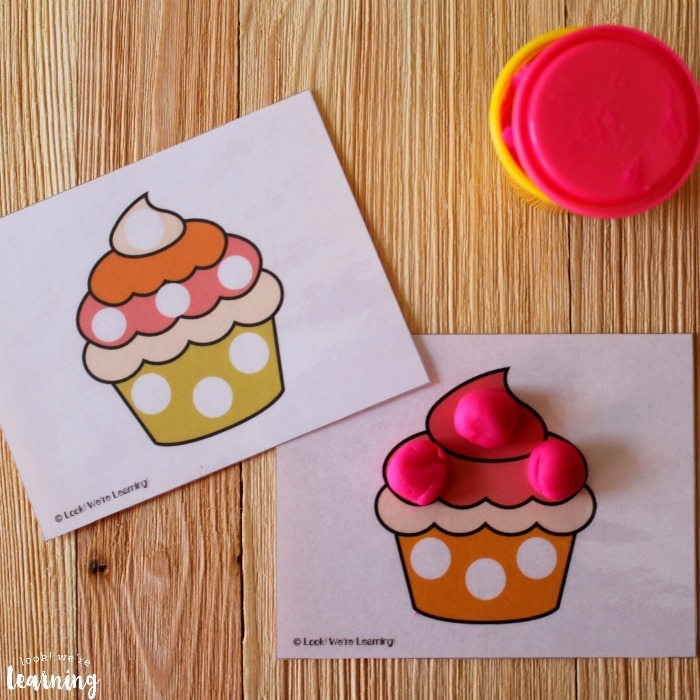 So I thought these cupcake playdough mats would be fun for little hands! They’re great for building fine motor skills, color recognition, and more. And they’re perfect for a cupcake unit! Because you can never learn too much about cupcakes, right? 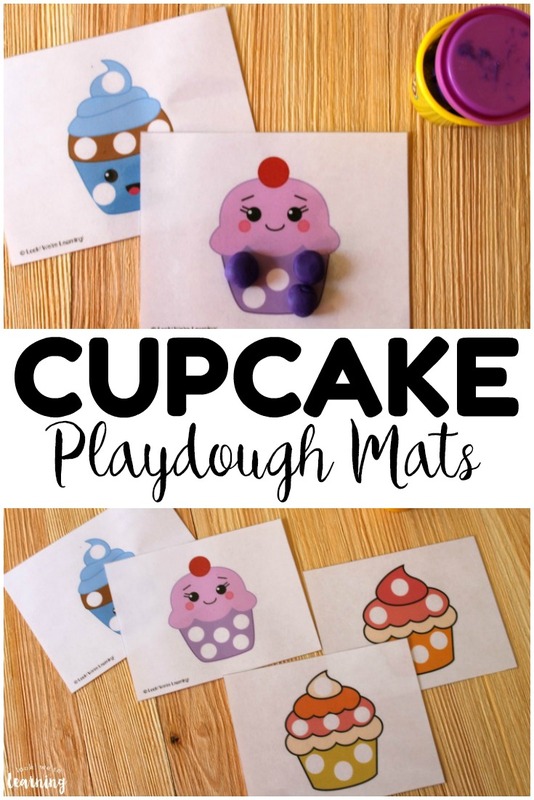 Read on to see how to get your copy of these fun printable mats for some playdough time with the kids! 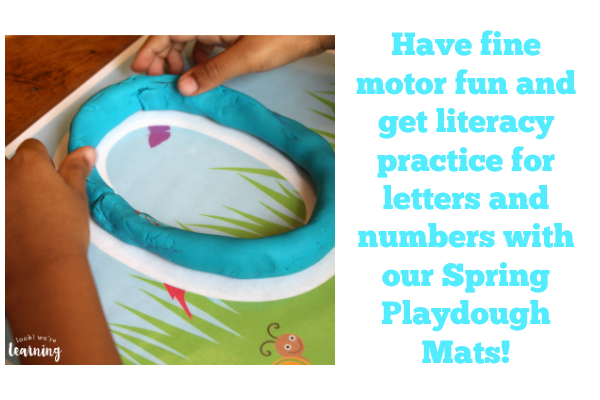 Ready for more fine motor skill fun? 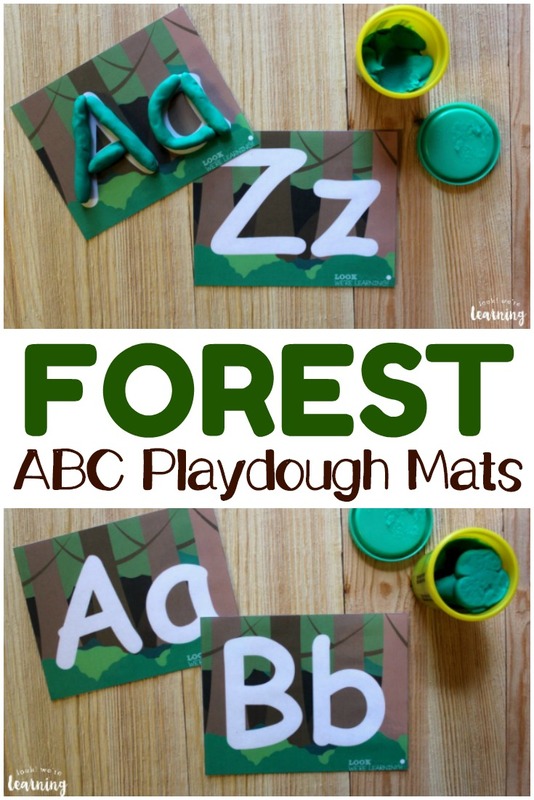 Don’t miss our other preschool playdough mats, including Mountain Do-A-Dot Shape Mats and Fall Alphabet and Number Playdough Mats! 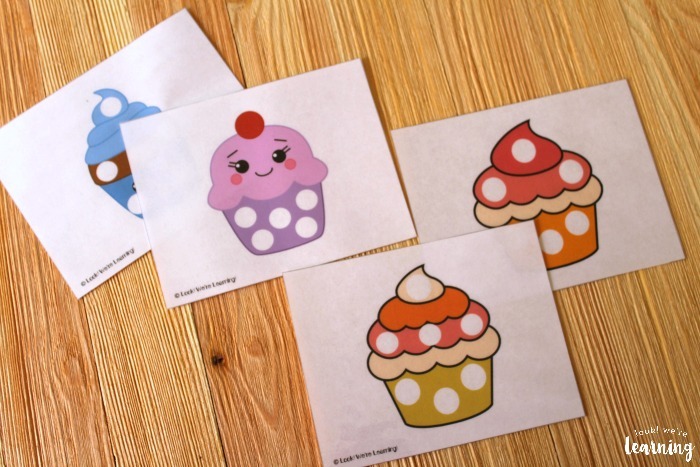 This product includes four different cupcake mats – two with faces and two without. I thought the cupcake faces were adorable, but if your child prefers the ones that look more like food, no biggie! These would make fantastic busy bag additions. You can print them, laminate them, and add them to a busy bag with dry-erase crayons or dot markers and let your child color in the circles! 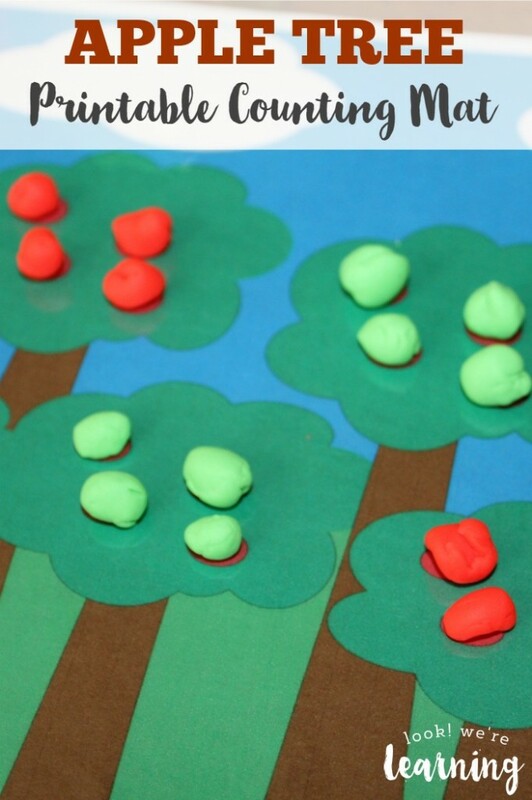 Personally, I love the use of playdough for fine motor skill building. 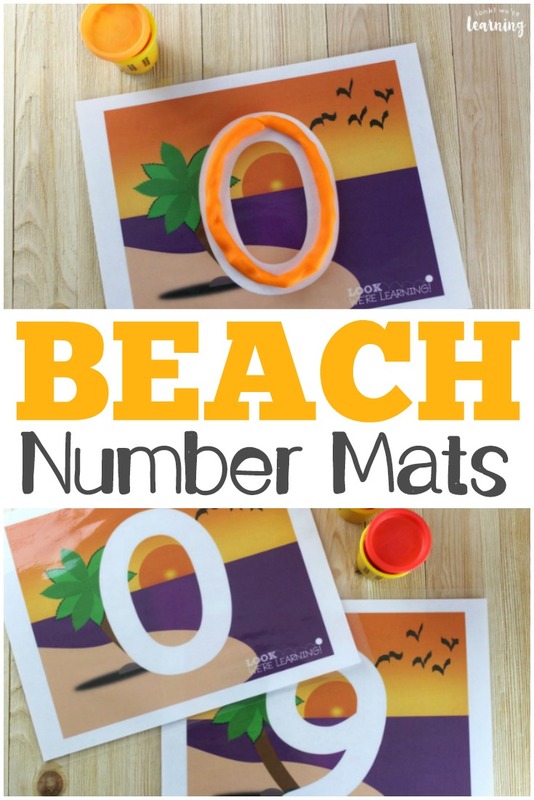 Kids can practice rolling the dough into small spheres and then placing them on the free spaces on each mat. 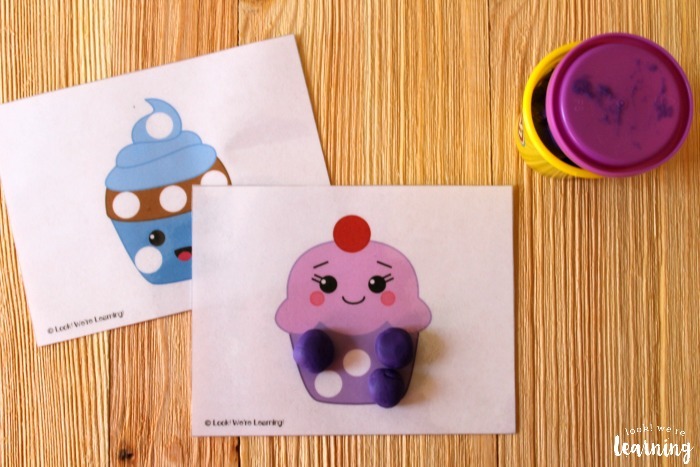 You can use different colors to practice color recognition or even work on counting by counting how many playdough balls you can add to each picture! 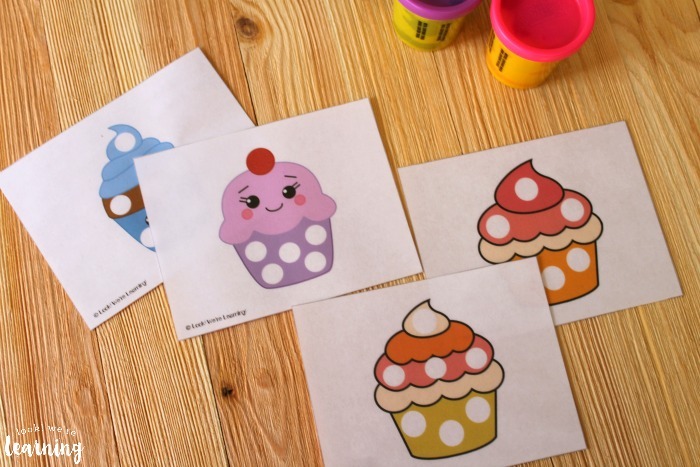 Scroll down to get your set of printable cupcake playdough mats! 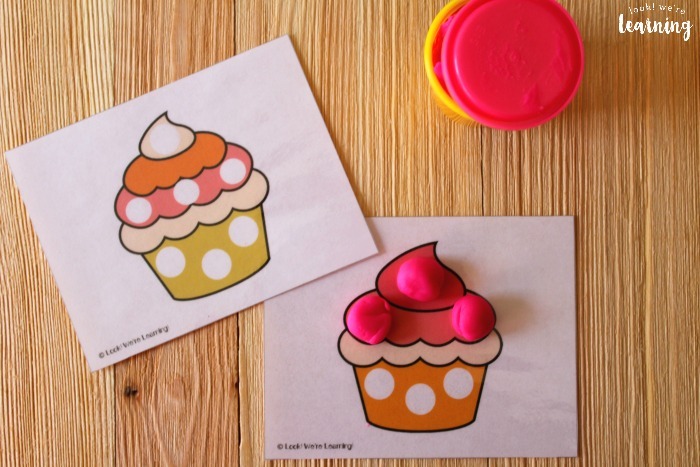 Don’t miss our other preschool playdough mats! Plus, see more ideas for teaching early years at home on my Learning for Little Ones Pinterest board! 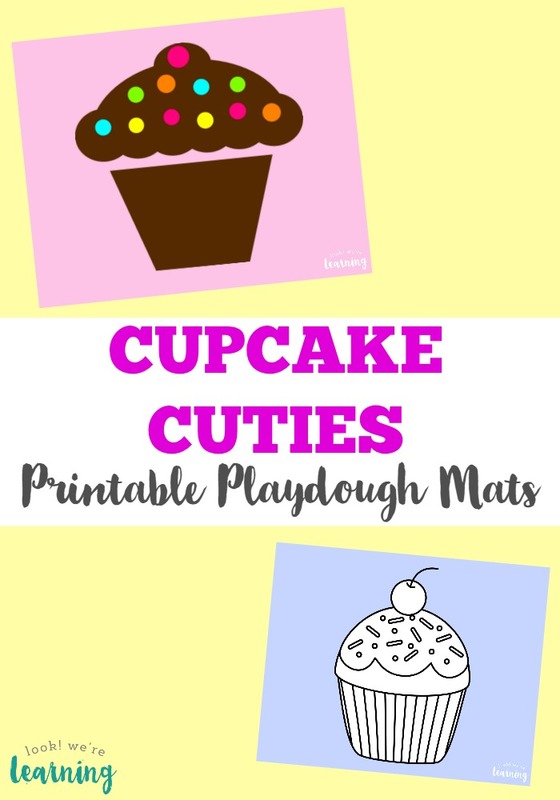 To get your copy of our latest preschool playdough mats: Cupcake Playdough Mats, click the image or the link below to visit our Store!